Vacant smile, electric whiskers, who else is it going to be? As if the streams of new weapons and maps in Splatoon weren't enough to tickle the fancy of all the budding Inklings out there, Nintendo has squeezed a previously unseen easter egg into the latest battleground known as Piranha Pit. As with most easter eggs this one isn't immediately obvious, but that's largely due to the fact that it only seems to occur at a particular time and, naturally, in a particular location. If you look out to sea in a game of Turf War from the right spot at the right time you'll be able to see the Great Zapfish swimming about, minding its own business like a post-human Loch Ness Monster. Check out the video below where we go into further detail about how to see this arguably legendary beast when it's not busy providing toaster fuel to the residents of Inkopolis, and make sure to subscribe to our YouTube channel if you haven't already. Good find! I always love little easter eggs like this. I really hope they make the sequel to this game a launch product for the NX, as it has been one of the best games launched this generation. After seeing the youtuber supermetaldave 64 https://www.youtube.com/watch?v=NomKPWyl3YY & Evie B https://www.youtube.com/channel/UCzNYkp9rlceH0zZqj0X2bQw concept video of the NX controller (especially the one running Splatoon https://www.youtube.com/watch?v=6jicZ3puSvY) makes me feel like October can't come soon enough. 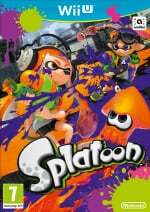 @megamanlink If the NX releases in 2017 or 2018, a new Splatoon game as a launch title would be doable. A 2017 Nx with a Splatoon sequel as a launch title would be nice. I still hope people realize, if the Nx is a home console, and it releases in 2016, Nintendo is screwed. I completely failed to notice that. @DarthNocturnal @Calllack Yep, that's right. It does look like a giant version of Whiscash. We need Splatoon World cup on Nintendo NX! I actually saw it from the distance, but didn't have time to care for a closer look because it was during battle! I saw him in that microgame in WarioWare Inc: Mega Microgame$! Outside of Zelda, what's the WIi U got? It's been a failure; a new console and a strong push will greatly help Nintendo, financially. @John_Enigma What are you on about? That's a ground type. @Fee I think you mean stunkfish. The great zapfish is so derpy, I love it. @Torterror : Do you mean Stunfisk is the ground type or Stunfisk matches the Great Zapfish better? Because if it's the former you're only half right. Nice! Easter Eggs like these are so interesting. I wonder if there are more secrets like these to be found? I wish you good luck with your claim. I'm putting my money on it being a hybrid, but it'll surely be a home console as well. Look, its Jabun from Windwaker (without the lantern)!